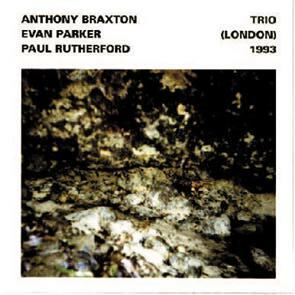 Recorded one day before the already famous duo performance by Anthony Braxton at the London Jazz Festival this CD features five improvised pieces. The addition of Paul Rutherford to the two saxophone virtuosi changes the muusic in the most dramatic way and offers a sound of unending surprise. Duration: 53'31. Top ten CDs of 1994 by many polls.